How do you get designer dogs? Are designer dogs, mutts and mixed breeds the same? Do kennel clubs officially recognize designer dog breeds? Where can designer dogs be registered? Why are designer dogs so expensive? When did designer dogs become popular? How big do designer dogs get? 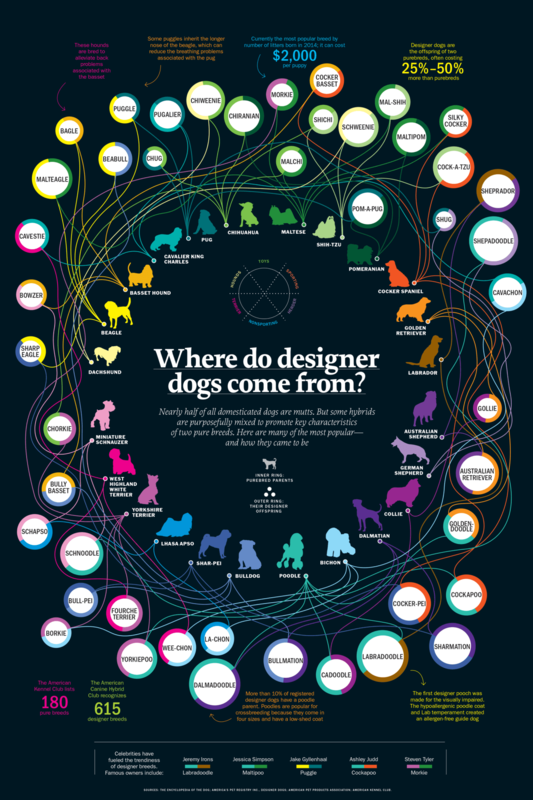 What are the most popular designer dog breeds? Today, designer dogs and hybrid dogs are incredibly popular thanks to their virality on social platforms. Yet, many mixed-breed dogs coined as designer dogs respond to a lot of needs pet parents have (e.g. hypoallergenic, smaller size, better nose, etc). 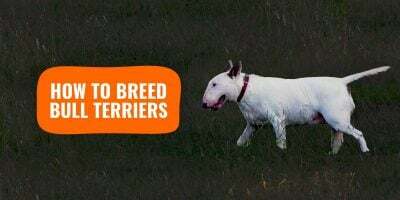 While there is a lot of designer dog bashing going on over the last few years, we also need to understand that there is a market for such hybrid dog breeds. A designer dog is a mixed breed dog or a cross of two purebred dogs. Designer dogs are generally bred together in order to achieve a specific look. Purebred dogs are characterized by dogs that have been bred over a number of generations in order to breed true. These puppies that are bred true all have the same looks and characteristics. 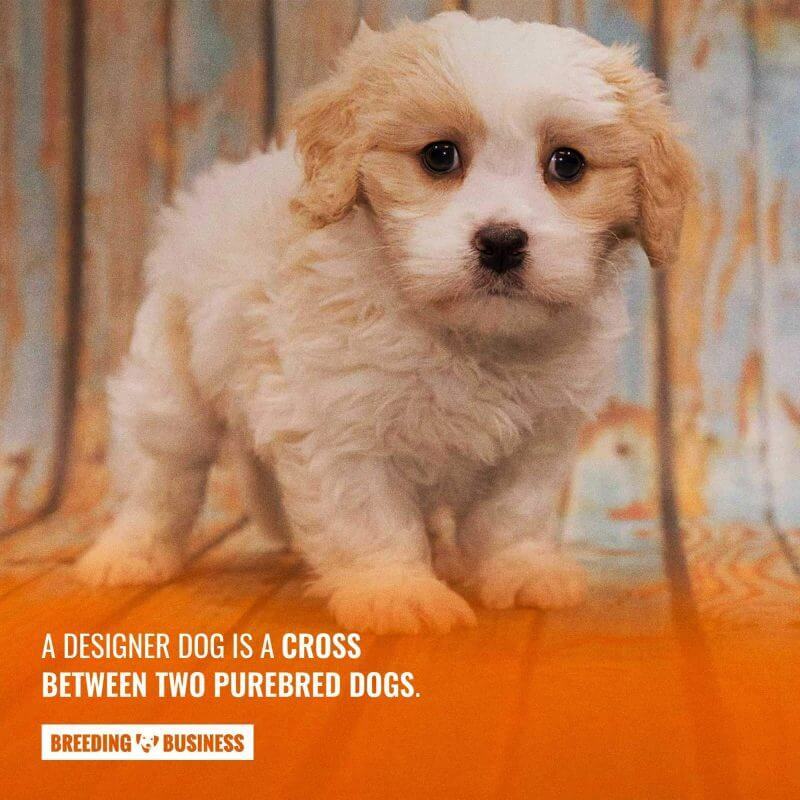 Purebred dogs give dog breeders a sense of security because they know exactly what they are getting with purebreds. They already know what kind of dog they will be and what they are capable of. Therefore, by knowing exactly what two dogs are genetically made up of, breeders can determine what type of specimen they can create. A designer dog is the result of these planned matings between the two individual purebreds. That said, these dogs have a purebred documented ancestry. A designer dog is produced when two predetermined purebred dogs are mated together in order to achieve the desired dog they had planned to create. 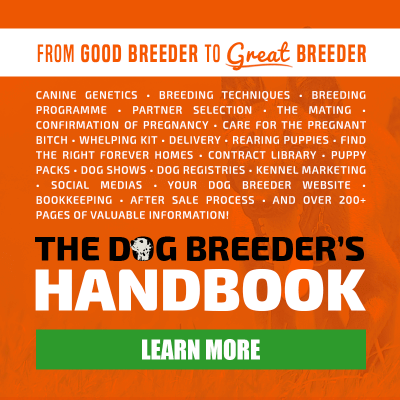 Breeders produce designer dogs by mating two purebred dogs together after having established a breeding program outlining their specific end goals. A breeding program consists of a detailed outline of a determined plan in which a breeder intends on seeing through to the end. The program starts with the initial breeding stock which is finding the two initial dogs to breed to begin the generational breeding. In this particular plan for producing a designer dog, the breeder must wisely choose the two dogs in which to mate in order to create the desired specimen. Since both starting dogs already contain the information needed to produce the desired traits and characteristics, the result is the designer dog. Definition of what designer dogs are. Yes, designer dogs do tend to be slightly healthier than their purebred counterparts. This is due to more hybrid vigor, or genetics, and a larger gene pool. Having a large gene pool maximizes the chances that positive traits will breed true. Bigger gene pools also have a wider genetic diversity which makes them better suited overall. Designer and hybrid dogs also deal better with diseases – they most likely have the genes that protect them within their larger pool. The smaller the gene pool, the more likely they face extinction. However, this would be achieved and clear-cut after several generations, not from the very first breeding. Breeding for always smaller designer dogs can inevitably lead to health conditions, too. 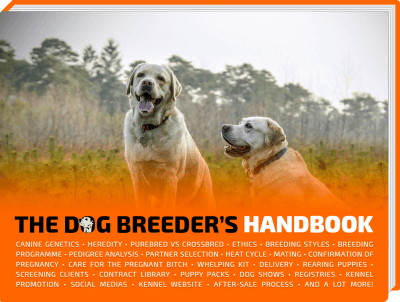 A breeder does not have enough information after the first few generational breedings. Rather, it takes several in order to see a pattern take place and to be able to predict the results. Designer dogs, mutts, and mixed breeds are actually all the same just with a different descriptive name. However, designer dogs are generally F1/F1b generations of hybrid dog breeds. This means that the offspring are the result of the mating of two purebred dogs with half of the dog being the father’s breed and half of the dog being the mother’s breed. As for F1b, they are the F1 dogs but backcrossed. This would happen if one of the parents from F1 breeds with a parent from P (purebred). In addition to this, mutts tend to have dozens of different breeds in them while designers stick to two purebred breeds. This would account as being a major difference in the public’s eye. When one obtains a mutt, they really have no idea what is in this dog’s ancestry unless they do some in-depth DNA testing. As for mixed breeds, that is more of a general term to describe them all as both really have a mix in them. Any dog that is not purebred will be considered some type of mix. The world’s most popular kennel clubs, the American Kennel Club and The Kennel Club, do not currently recognize designer dog breeds. In many purebred-focused clubs, designer dogs go against the “purebred dogs are better” mentality that they tend to promote. Purebred dogs have a documented history. Institutional kennel clubs are trusted to provide dog breeders and buyers with thorough backgrounds of the dog’s history and their pedigrees. It’s part of their business. The ACHC, or American Canine Hybrid Club, recognize crossbreeds that are produced from purebred ancestry. Indeed, since most designer dogs are F1/F1b hybrids, their pedigree and lineage are known information. However, the AKC is known as the main authority that officializes new breeds and so far, no designer breed got recognized. The AKC has the final say in breed standards but still will not recognize these breeds in their registry. Additionally, designer dog breeding is still experimental when to compared to centuries-old breeds. And something that happens a lot with hybrid dog breeds is that many people end up getting rid of them if they do not turn out as expected. 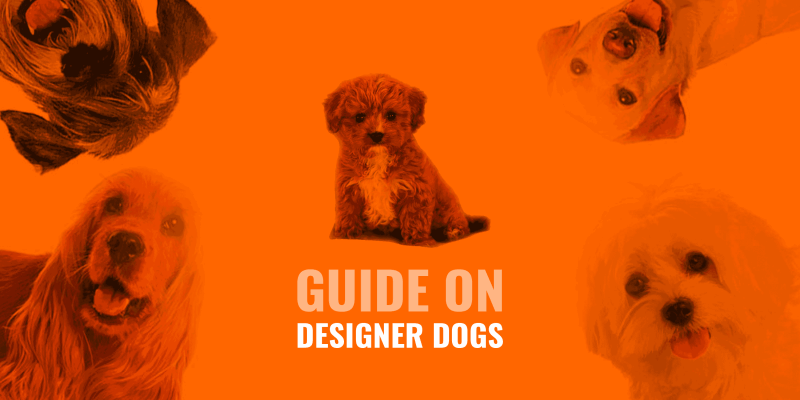 Depending on the kennel club you choose, designer dogs can get registered. Some newer kennel clubs now specialize in designer breeds. 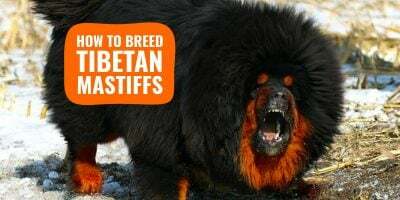 They have certain facets of their registries that are specifically designed to cater to these types of cross breedings. However, the benefits of signing up with such types of kennel clubs are extremely minimal, at best. One must take into consideration the benefits a kennel club would receive by doing this. Fees are their main concern and they do not have as much power and visibility as the main kennel clubs out there do. 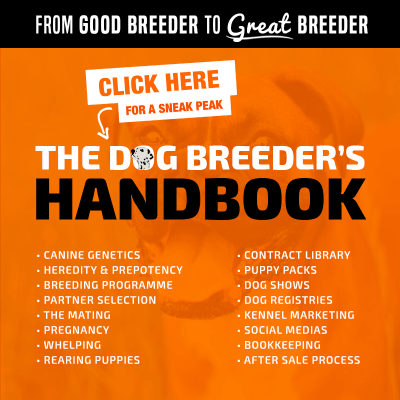 So, even if a designer dog were to get registered by these “lesser” kennel clubs, there is not a whole lot you can do with it as there is minimal exposure. A small puppy count and a supply lower than the demand explain the higher cost of designer puppies. Designer dogs tend to be rather expensive mainly because they are targeting small toy breeds which give birth to very few puppies per litter. So, these dogs end up being rarer than the average breed litter. Even if there are some influences you can control to increase your puppy count, the size of the mother is perhaps the most constraining. In addition to this, the pricing of these designer dogs is often inflated for very sought-after mixes (hypoallergenic designer breeds, for example). The physical look and the ability to attract a lot of attention on Instagram are strong indicators in increasing their prices, like Pomskies, for example. It’s mainly a supply and demand issue. Of course, the fact that many celebrities now tote some of these designer dogs attract even more attention in the mainstream. The first time in which a designer dog became known and made waves was back in the 1960s when the Cockapoo was produced. However, in that time, it never became popular enough to cause a revolutionary stance. The designer dog concept made a comeback with the Labrador x Standard Poodles in the 1980s when an attempt to breed a dog for a blind user with allergies in Hawaii. They were later called Labradoodles. From there on, these created names became the new norm for creating a new standard breed type. 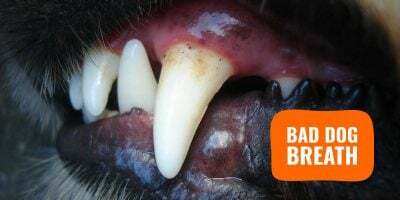 Typically, once people began realizing the purposes these designer dogs had in the work field, as well what they offer for vanity purposes, was when it became the next new thing on the breeding market. They realized that the mixing of dogs was a great way to obtain that ideal specimen for any given task or look. Now it has inherited its own term and style and is beginning to pave way for many curious breeders willing to experiment even further. The expected size of a designer dog will depend on the two base dogs that were initially bred together to produce the said puppy. In general, a dog breeder can expect a size somewhat in the middle of both dog’s average sizes. If the cross is a known one, the average size and weight of the produced designer dog can be found on online databases. If we look at the average designer dog today, you will notice that most of these dogs are small. 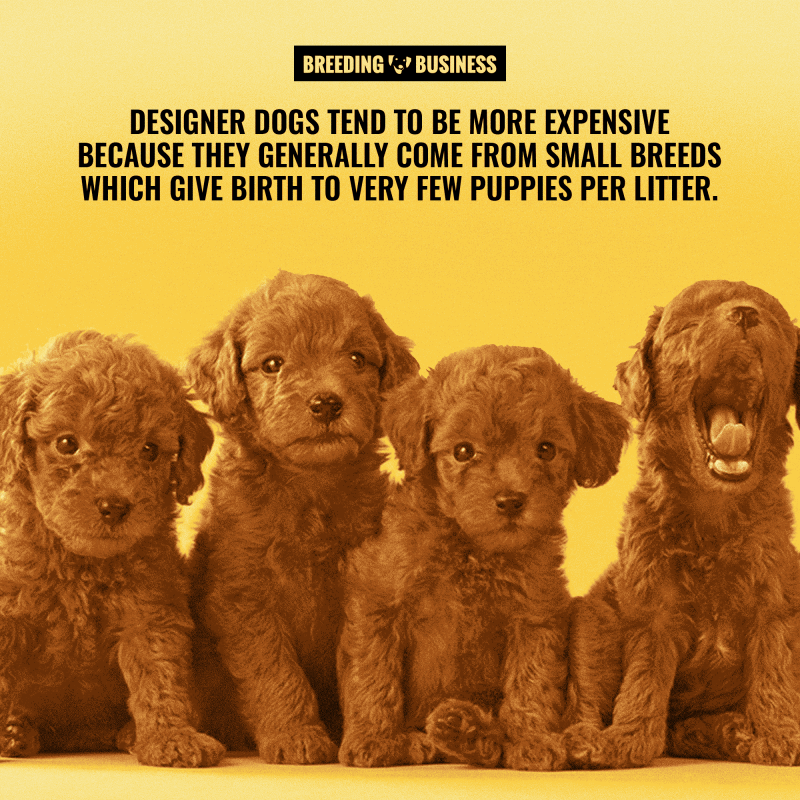 That’s because the demand for toy breed designer dogs is in higher demand. But that is not to say all designer dogs will be small – the Labradoodle is a perfect counterexample! The combinations possible in the kingdom of designer dogs are near infinite. Yet, because crossbreeding is rarely done randomly, we tend to find the same mixes reoccur over time. Seldomly, you will find a new designer dog breed emerge, such as the Pomsky, but other designer dogs aren’t left far behind. Here is a top list of the most popular designer dog breeds for 2019. The Labradoodle is the result of the mixing of a Labrador Retriever and a Poodle. This fusion was created for the sole purpose of creating hypoallergenic guide dogs. This cross was first arranged by the Royal Guide Dogs Association of Australia. This breeding resulted in very sociable and intelligent creatures. These dogs turned out to be a great help as the guide dog they were intentionally created to be. And due to this mix, they also have a very low shedding coat. They are most popular for their affection, despite their temperament not always being consistent. The Goldendoodle is the hybrid result of mixing a Golden Retriever and a Poodle together in the 1990s. This crossbred dog is enjoying immense popularity due to their incredible friendliness especially around strangers. They also have a high potential for playfulness and tend to have a high need for physical exercise. They were originally bred in order to create an offshoot to the already existing Cockapoo. Goldendoodles are versatile dogs and they make great family pets. In fact, many litters today are results from some first generational breedings of the Poodles and Golden Retrievers. Not known to be aggressive puppies, the Goldendoodles show a lot of potential to be trained. The Maltipoo is a popular crossbred designer dog of the Poodle and Maltese breeds. These dogs are very fun loving and affectionate. Many homes welcome these designer breeds for their homeliness and their ability to get along well with kids and the elderly. They are sensitive and great for novice owners. These enjoyable little creatures have stolen the hearts of many as they make the ideal mate for those lonely dog lovers. This is a mix of the Poodle and the Cocker Spaniel. Many dog owners fall in love with their cute faces. The cockapoo is an adorable small dog and is actually the first of the designer dogs to be developed with roots dating back to the 1960s. Cockapoos are great companions as they are easily trained, extremely friendly, and great for novice owners. They make great therapy dogs at home. Furthermore, you end up with the swiftness and spirit of the Poodle with the sturdiness of the Cocker Spaniel. The main goal in producing the Cockapoo was to create a hypoallergenic dog that was healthy and good tempered. The Puggle is a wonderful mix of the Pug and the Beagle. For the most part, these dogs make great companions for their fun-loving nature. They are intelligent, astute, and they are ideal for home surroundings as they tend to be family lovers. However, one thing you must remember is that these dogs love to bark so they can get pretty loud. Moreover, another downside is that they are not always eager to please when they are being trained. They are easy to groom and they do have a potential for gaining weight. Physically, they exhibit the wrinkles of the Pug but with the long muzzle, ears, and tail of the Beagle. They were bred to bring out the best of both worlds: the laidback personality of the Pug and the Beagle’s nose for easier breathing. The Pomsky is a designer breed mix of the Siberian Husky and the Pomeranian. These adorable pups have become extremely popular especially in 2017. Because of the size gap of both parent dogs, these dogs are bred through artificial insemination. 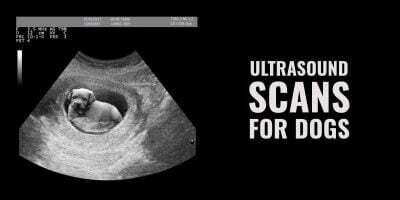 Due to this, breeders charge a lot of money because the process ends up being so expensive. They have a thick coat which makes them tolerable in the colder weather. Stubborn creatures, but they are very well trained. They tend to be vocal dogs and they often times crave attention, yet they are super playful.